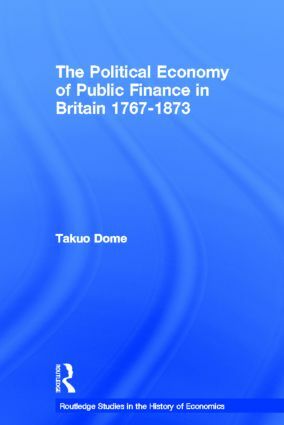 The period between 1767 and 1873 shaped public finance in Britain (and, by extension, many other countries) as we know it today, with the major economists of the time providing influential contributions. Until now, no book has examined and compared the thought of these 'classical economists' from the perspective of public finance rather than that of pure theory. This groundbreaking volume critically analyzes and compares the writings on government expenditure, taxation and public debt of thinkers such as Adam Smith, Jeremy Bentham, David Ricardo and Thomas Malthus. These key figures are united by their struggles with fiscal theory - an important feature in the formation and development of political economy. An original and intriguing read, this book breathes fresh life into the history of economic thought. Dome's clear and exciting arguments will make for essential reading for historians of economic thought, economic historians and those with an interest in public finance. Takuo Dome is Professor in the History of Economic Thought at Osaka University, Japan.